IT IS THE DOG'S YEAR THIS YEAR、2018. THIS PHOTO IS NOT CATS BUT HARIKO DOGS. 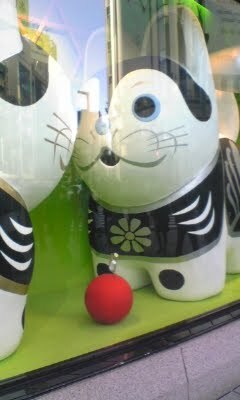 U CAN SEE THEM AT THE SHOW WINDOW OF WAKO AT GINZA.